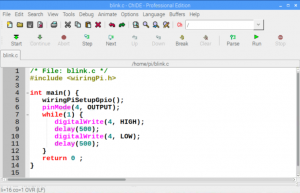 Ch Raspberry Pi contains additional modules of GPIOviewer, Ch WiringPi Package, and Web-Based Computing. C-STEM Studio is included in C-STEMbian. The PDF file of the textbook “Learning Physical Computing with Raspberry Pi for the Absolute Beginner” is included in C-STEM Studio. 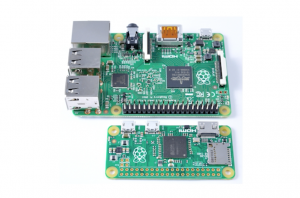 You can get started with Barobo Raspberry Pi Starter Kit.